Two interesting and totally separate stadium discussions to start the week off with this morning. First up in San Jose. 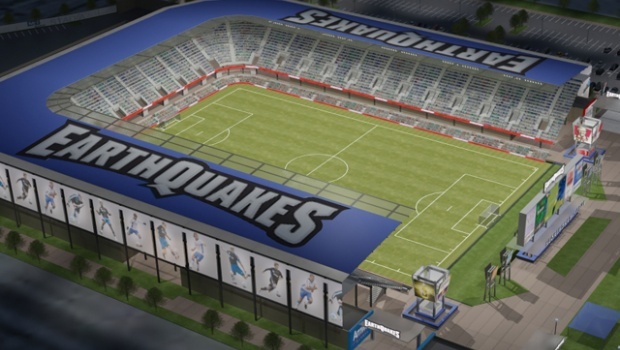 The Earthquakes are close nearing their final hurdle to get their own soccer stadium built. San Jose owner Lew Wolff’s plan to build a $60 million soccer stadium faces its final vote Wednesday night, when the San Jose Planning Commission is expected to decide whether the city has adequately addressed residents’ concerns about the stadium being in their backyard. There has been a growing concern from the locals in San Jose near the proposed stadium site that say the stadium will be too loud for the neighborhood. Residents around the area say that the lights and noise issues haven’t been properly analyzed. Out in Washington, D.C., officials from United and Events DC are close to agreeing on a two-year lease extension at RFK Stadium. That’s not where it gets interesting however. Parties from both sides are saying this will create a window in which the team and some city officials likely will attempt a last-ditch effort to build a stadium for the team in the District. “That two-year extension will then provide adequate time for serious negotiations to commence between the city, Events DC and the team about a new soccer stadium in D.C., and one that meets the needs of the city and one that meets the needs of D.C. United,” said Team President Kevin Payne. Could this finally be the time that both San Jose and D.C. get their own digs? God let’s hope so. One question, maybe you can help me out. My home city of El Paso, Texas wants and plans to make a Trilple A baseball stadium. What is cheaper to build and maintain, a Triple A baseball stadium or a soccer specific stadium. By the way the mayor wants it downtown and ignoring our soccer history, what a dumbass right. El Paso can easily fill a 18,000 seat SSS and specially downtown. So what is cheaper, a triple A baseball stadium or an MLS type of soccer stadium. From the way I see MLS SSS, we can have a San Jose type of stadium or even Fc Dallas stadium.